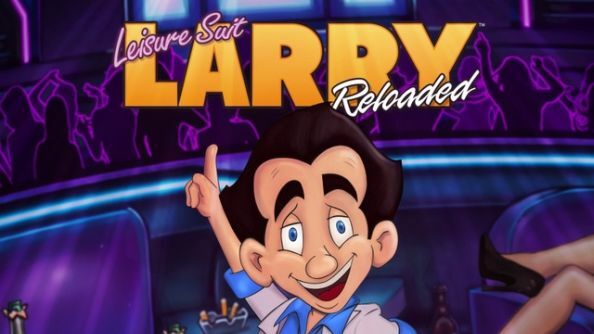 A possible new Leisure Suit Larry game appeared on Steam over the weekend, and was swiftly pulled from the store. 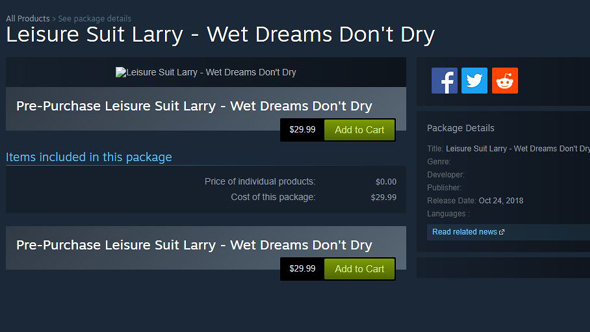 The game is supposedly (and disgustingly) titled Leisure Suit Larry: Wet Dreams Don’t Dry, and according to the listing is due out October 24. Apart from the cost ($29.99) there is no information about this new game in the Larry series. No developer or publisher was listed, so we don’t know if it’s coming from Replay Games or Codemasters. Codemasters are the current Leisure Suit Larry rights holders, but the IP was secured by Replay for the crowdfunded remake of the first game in the series – 2013’s Leisure Suit Larry: Reloaded, which had the involvement of original creator Al Lowe. Check out our list of the best adventure games on PC. Lowe left Replay Games in 2013, and Replay CEO Paul Trowe was found guilty of displaying harmful material to a minor, so it’s unknown if the team behind Larry’s most recent adventure would have anything to do with this game – if it’s even real. It seems unusual that a specific release date would be mentioned and not the game’s developers or publishers. Now is probably the worst time for Leisure Suit Larry to return, as just this weekend adult game developers reported that Valve have started cracking down on pornographic material on Steam. They’ve reportedly walked back a little, but HuniePop developer Ryan Koons suggested that they aren’t “out of the woods” yet. No matter whether the listing is real or not, we hope we can at least all agree that Wet Dreams Don’t Dry is a terrible, terrible title.